Drs. Doan and Suarez have committed themselves in giving you the smile that you have always wanted and deserved. We can help you to achieve your goal in offering many advanced cosmetic and restorative techniques. Many of our patients initially come to our office with a variety of dental concerns whether it is simple or vastly complex. First and foremost, Drs. Doan and Suarez are physicians of the mouth and associated structures. At your initial visit, Drs. Doan and Suarez will thoroughly examine and diagnose each case and custom tailor your dental needs with your overall oral health in mind. They take pride in offering the most advanced cosmetic and restorative solutions to each patient that will not only provide form and function, but with beautiful results. If you are looking for a thorough, pragmatic dentist that has the experience required for advanced dentistry, please contact us. With the popularity of the Extreme Makeover series on TV, the American public was exposed to the power of cosmetic dentistry in changing lives. One of the most advanced techniques used in this program is the use of Porcelain Veneers. Porcelain Veneers are thin high grade ceramic facings that are bonded to your natural tooth structure to correct a variety of cosmetic dental problems such as staining, cracked teeth, tooth crowding, tooth gaps, broken teeth, and decayed teeth. Dr. Doan one of very few dentists in Sarasota that has mastered a prepless procedure using Microthin Veneers for ultraconservative cosmetic dentistry. With the use of this conservative technique, Drs. Doan and Suarez can enhance your smile to its natural beauty. For more information, please contact Drs. Doan and Suarez for a consultation. Do you have crowns that showing a dark gray line at the gum line or do you have large silver fillings that make the teeth look dark? Porcelain crowns are the answer. Porcelain crowns can repair a variety of dental problems while maintaining the natural appears of teeth. A crown is a custom designed cap for the tooth to protect it from further injury while strengthening it from fracture. It is an excellent way to restore severely damaged teeth due to decay or fracture. Unllike, many other dental offices that may aggressively cut teeth for a crown procedure, we use ultra magnification to perform micro preparations in order to be minimally invasive preserving the health of your teeth. So if your have broken down teeth or old metal based crowns and are needing an upgrade, please contact our office for an evaluation. Drs. Doan and Suarez have dedicated their practice in giving our patients the very latest in dental technology. They are proud to offer CEREC 3D Omnicam. CEREC is a computer-designed and milled restoration that is fabricated in our in-office lab. What once required two visits to prepare a tooth for a lab fabricated restoration (i.e. crowns, inlays and onlays), we can perform in one visit in our in-house lab where there is no temporaries, no second visit anesthetic, and no need for taking your valued time with a second appointment. These custom artistic restorations are made of strong and aesthetic ceramic materials creating beautiful crowns and other tooth restorations. For more information on the advanced CEREC technology, contact Drs. Doan and Suarez today. Do you have dull, yellow, and/or stained teeth or do you find your self hiding your smile? Teeth whitening can reverse years of effects of coffee, tea, tobacco, and other staining substances, giving you a noticeably whiter smile. Drs. Doan and Suarez are proud to offer the in-office power whitening system ZOOM! Advanced Power as featured in the popular television series Extreme Makeover. We also offer another affordable option and effectiveness through home whitening systems with master created custom trays. To learn on your whitening options, please contact our practice today. Looking for a conservative alternative for a cosmetic solution? Then composite bonding might be what you are looking for. Composite bonding is the use of a specialized space age glass-resin material that is directly sculpted onto your teeth to correct stains, minor chips, cracks and misalignments to create a beautiful smile. Not only does this technique allow correcting tooth problems, but can strengthen the tooth during the process. Drs. Doan and Suarez can match the color of the restoration to your existing tooth structure or use a brighter color to create a brilliant smile. To learn the further possibilities of composite bonding, contact Drs. Doan and Suarez for exceptional results. If your are missing teeth that makes chewing difficult or makes you feel self-conscious, then dental bridges is a wonderful solution. By using aesthetic and natural looking teeth, we can fill in missing teeth that are almost indistinguishable from natural teeth. These dental bridges are either attached to natural teeth or implants. Using this technique can restore both a comfortable bite and brilliant smile. 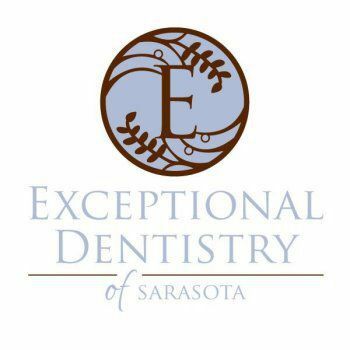 If you want to learn more about dental bridges in Sarasota, contact Drs. Doan and Suarez today. Do you have old black or silver fillings? There is another and better option. Modern dentistry has advanced through the years to offer you durable and natural looking fillings with the use of composite resins. These materials offer the feel of natural enamel and durability. By bonding directly to the tooth, it will create a strong and long lasting restoration. Call our practice today for more information. Inlays and onlays serves much of the same purpose a fillings do when additional strength and longevity is required. Inlays fill in cavities or depressions while onlays lie on the surface of the tooth, building up damaged cusps and strengthening them. These lab or CEREC fabricated restorations are made of high strength ceramic and are bonded to the tooth to create a long-lasting restoration. To learn more about inlays and onlays, contact Drs. Doan and Suarez for a consultation. When there is a major loss of your dentition, an economical choice to replace teeth is through the use of dentures or partials. Dentures are used to replace full arches of teeth for the upper or lower jaws. As for partials, these are used to replace smaller sections of missing teeth. With the very latest in dental materials we can mimic the natural aesthetics of teeth and gum tissues. These techniques can restore function and beauty to the face. Call for more information on how to we can restore your mouth economically through dentures or partials. Dental implants are titanium screws that are anchored into the jawbone to support dental crowns, bridges, and full arch restorations. Implants are an excellent choice when restoring a missing tooth area. We will coordinate with an oral surgeon or periodontist for a surgical implant consultation. Once the implant is placed, we can create a beautiful long lasting restoration to replace the missing tooth or teeth. For more information on dental implants, contact our office for a consultation. There are times when it is required to restore the entire mouth to restore a full and healthy smile. Many of these cases involve teeth that has been neglected for years or dental work that has been piecemealed by numerous dentists that breakdown at different rates. Extensive decay, large silver fillings, and/or periodontal disease may be cause for more comprehensive dental treatment. In these cases, full mouth restoration might be an optimal solution. Drs. Doan and Suarez will carefully evaluate each patient’s needs to develop a comprehensive dental plan. Then they will use the best modern materials and techniques to restore a comfortable, functional, and beautiful smile. Call our office today for more information on full mouth restorations. Have you woken up to unexplained jaw pain? Have you ever had pain of the head and neck? Have you had acute pain around your ears or ringing of the ears? Or have you ever had difficulty moving your lower jaw? You may have TMJ or more accurately known as TMD (Temporomandibular Dysfunction). Drs. Doan and Suarez have had years of extensive training and experience in the non-surgical treatment of TMJ and facial pain. With an in-depth evaluation using special x-ray films and a focused TMJ exam, Drs. Doan and Suarez custom tailor a treatment plan to get you out of pain. Contact our office if you are experiencing any or all of these symptoms for a thorough TMJ evaluation. In order to offer the best restorative option, we want to assure a good periodontal foundation to support your beautiful teeth and restorations. The gums and supporting bone must be kept in optimal condition for your teeth to last a lifetime and we are here to support that through non-surgical periodontal treatments. If you are trying to find a dentist with your overall dental health in mind, then give us a call for a consultation. Toothache? You might be in the need for a root canal. Drs. Doan and Suarez have spent extensive training in endodontics during residency and in practice to give you the most modern techniques to treat teeth that are in pain or severely broken down. Root Canal Therapy can save teeth that would be otherwise extracted. If you need a dentist that is competent in all aspects of dentistry, we can help you. Severely broken down teeth that have reached the point that is non-restorable or broken down non-functional teeth may require extraction. Many of our patients love the fact that many aspects of dentistry can be performed comfortably at our office including extractions. Contact Dr. Doan and Suarez should you require help with a problem tooth. One of the subspecialties that we are proud to offer our adult clients to conservatively straighten your smile is through Invisalign or Six Months Smiles (a.k.a. Short Term Orthodontics). Let our dedicated team navigate you on what option may be best for you.